A photo tutorial showing how to make a tidy and neat edge when changing colours. 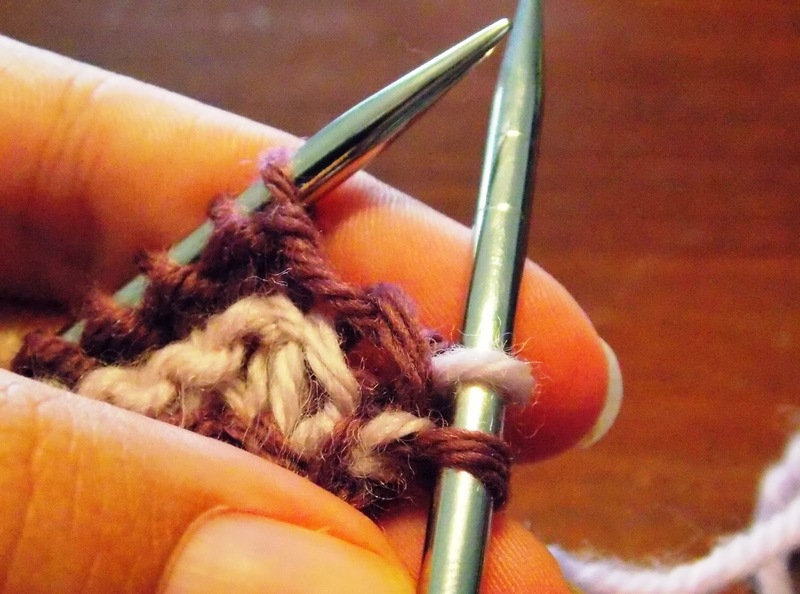 This is an easy way to make a tidy and neat edge when working in stripes using a slip stitch selvedge. A neat colour change is important when working a flat piece where the colour change edges are going to be visible - such as a shawl. 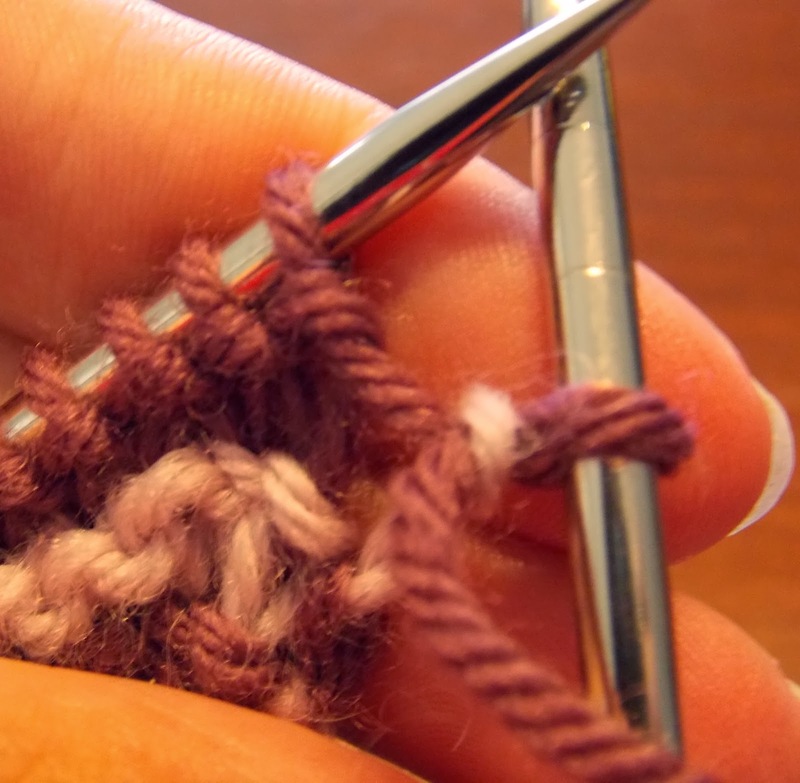 Please note that this post was written specifically for my Filigree Shawlette pattern where every row is knit (ie garter stitch), and where there are 2 colours that change every 2 rows. 1. 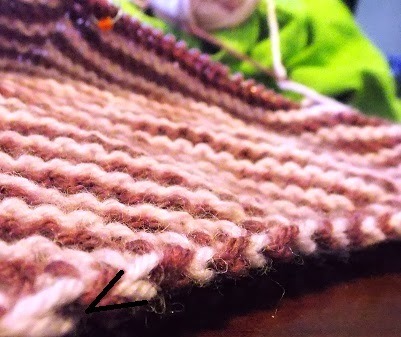 The first st of every RS row is slipped purlwise with yarn in front. 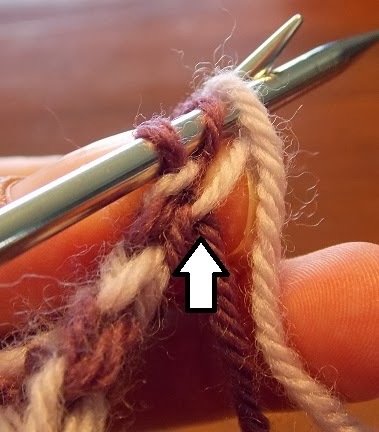 This stitch is in the OLD colour. 2. Now wrap the old colour working yarn to the back. Now get ready to knit the next stitch using the NEW colour. At this point I drop my old colour and pick up my new colour working yarn. 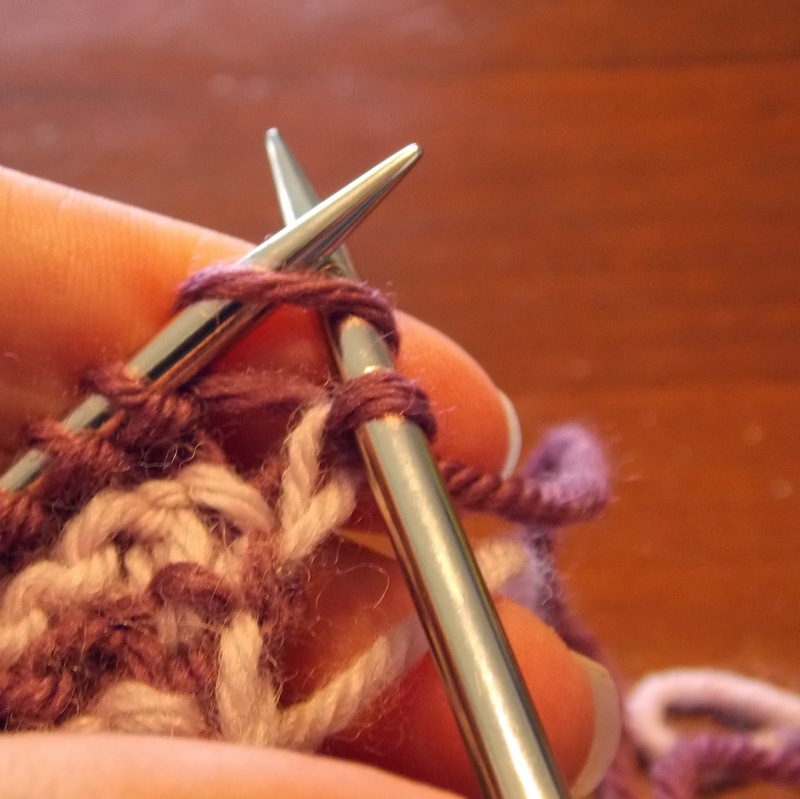 Mother, Knitter, Reader, Writer. Sometimes. Visit SweetP Designs's profile on Pinterest. Please ask me before using any text or images (C) Gabriella Henry. Simple theme. Powered by Blogger.